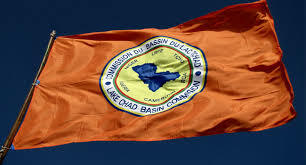 More than 10 ministers from Lake Chad Basin Commission (LCBC), and African Union (AU) representatives have converged in Abuja to adopt a strategy aimed at regaining areas captured by Boko Haram insurgents and tackling the economic crises around the lake. The aim of the conference is to validate the adoption of regional stabilisation strategy of the areas affected by the insurgency through their representing ministers and supported by the United Nations Development Program. “In November 2017, the African Union Commission, (AUC), Lake Chad Basin Commission, (LCBC) and development partners organised the first conference on the development of a framework for a regional stabilisation strategy. “The framework was aimed at facilitating a transition from active military engagement to addressing the root cause of the crises and rationalising various initiative to stabilise area affected by Boko Haram,” Mamman Nuhu, Executive Secretary, LCBC, said. The three-day conference which began Monday at Transcop Hilton, Abuja, draws participants from the region, ministers, diplomats and experts from member States. Mr Nuhu said that the draft is anchored on nine strategic objectives. He said the strategy is designed to address the short, medium and long term needs of the region towards stabilisation, resilience and recovery of the affected areas. He said there will be a strong imperative to involve local communities in the implementation of development initiative. He added that the strategy has outlined nine pillars of interventions as well as implementation mechanism, roles and responsibilities of stakeholders. He said the budget of strategy and how to mobilise the necessary resources to implement it were also spelt out. The UN Resident, Humanitarian Coordinator and UNDP Resident Representative in Nigeria, Edward Kallon, and Samuel Bwalya in a keynote address expressed honour being part of the validation process of the regional strategy. “Over the next few days, we will have the opportunity to discuss, debate, and internalise the draft Strategy that has been developed by the Lake Chad Basin Commission and the African Union Commission. I want to take this opportunity to congratulate these key partners for their leadership in this process and convening this Experts’ Meeting and the Ministerial Conference planned for later this week,” Mr Kallon said. He noted that the meetings are critical stepping stones towards a resolution of the crisis around Lake Chad. “For decades, the Lake Chad Basin has been plagued by underdevelopment, weak governance, low levels of education, and exclusion of women and youth in decision-making structures, and a myriad of environmental challenges that have been exacerbated by drastic climate change in recent times,” he explained. He said the Lake Chad, which had historically provided a lifeline to millions in the sub-region, had diminished and become increasingly ‘unpredictable’. “The prospects of supporting an ever-increasing population and demographic pressures have become even more challenging. These root causes underpin the general cycle of violence seen in the sub-region – both in terms of increased banditry and a resilient insurgency,” he said. Also, Mr. Bwalya expressed the commitment of United Nations to support stability and recovery of the Lake Chad. “The United Nations will continue to be a partner to the Lake Chad sub-region as it continues its path towards stability, recovery and resilience. “We continue to support those who need life saving assistance, whilst at the same time supporting Member States to build longer term resilience for affected populations. “With support from the German Government, a flagship project has been launched by the United Nations Development program, UNDP, to support regional stabilisation which, amongst other achievements, facilitated the establishment of the Lake Chad Basin Governors’ Forum in May of this year as well as supported the development of the regional stabilisation strategy. “As the regional strategy is finalised, UNDP and the entire UN system stands ready to support, where it may be necessary, partners to ensure an inclusive, sustainable, and accountable implementation of the strategy to help lift millions of vulnerable people out of poverty, stop the continued violence, and put the Lake Chad sub-region on a path to sustainable development,” he said. The deliberations will continues today. Also, Vice President Yemi Osinbajo will declare the Ministerial meeting on August 30 open.